An advanced system of mind-body conditioning combining fundamentals of Pilates with modern fitness techniques. Achieving your healthiest and happiest self is a journey not a destination. Whether you are developing fundamentals, practicing techniques or challenging your body and mind, our studio has a class for you. At BeneFIT Body, we provide unique classes and a friendly environment where you can work towards becoming the best version of yourself. For years Nikkita has been searching for the right combination of classical Pilates and modern fitness techniques. Fitlates™ was born and trademarked after realizing that any movement can be Pilates as long as proper breath and integrity of movement are maintained. The concept is simple and the possibilities are endless. Nikkita believes that her clients can be powerful and graceful. Therefore Fitlates™, embodies elements of speed and control, as well as functionality and intensity, while being challenging and fun! 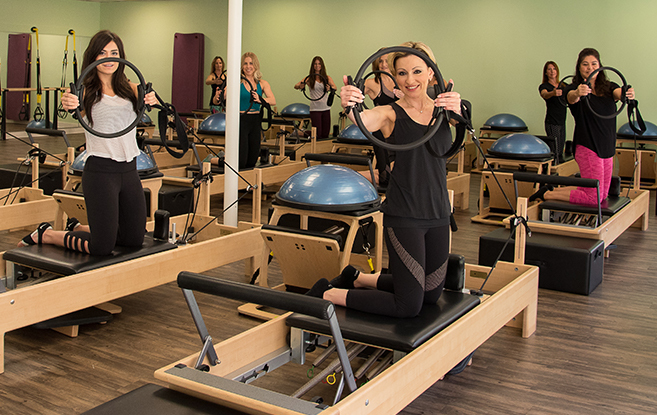 At BeneFit Body, our goal is to maintain the foundation of Pilates while thinking outside the Reformer to provide a safe and effective way for our clients to achieve their fitness goals. Hear what our wonderful members have to say about us! What I love about Benefit Body is that when I come here, it’s family!